The Link to Media field is used for adding a link to a file in your Prismic media library. It is a specific configuration of the Link field. 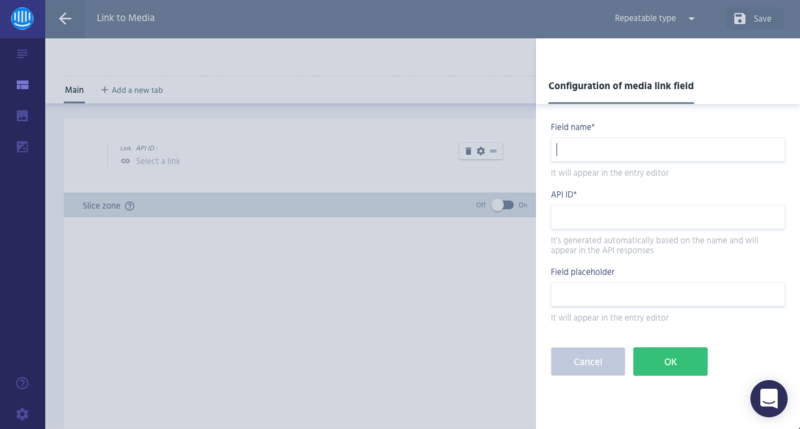 Assign the Link to Media field a Field name, API ID, and Field placeholder that will display in the entry editor. "placeholder": "Select a Media Asset"
"type": (string, required) Value must equal "Link"
"select": (string) Value must equal "media"